Our Sparkle Magic 4.0 laser lights project a pattern of thousands of lights in a 700 Sq Ft display. We have Red, Blue, and Green Laser Lights. These are great for easy set displays for any lighting solution. 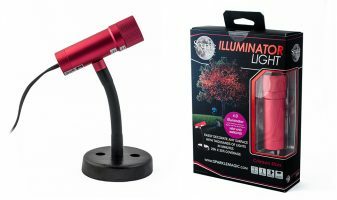 Whether it is for Christmas Lighting, Landscape lighting or for party of event lighting, Sparkle Magic 4.0 laser lights are a great solution. Our Sparkle Magic 4.0 laser light is improved and has an intelligent electronic thermostat to avoid overheating. This light can operate in temperatures from -4f to 104f. Our lights also can operate on wither 12v AC or DC allowing it to be used easily with low voltage landscape systems.